I had some friends over for dinner recently on a Friday and remembered that it is Lent. Lent starts about 40 days before Easter on Ash Wednesday and ends the day before Easter. It is a very holy time for many Christians and I remembered observing as a child. Traditionally no meat is eaten on Fridays, but fish is acceptable. During Lent, many observers also give up something pleasurable or something that might be a challenge to go without. When I was much younger, I asked my mother if I could give up beef or chicken (which I didn’t like) or going to CCD classes (which I really didn’t like.) And she always instructed me that I was missing the point. If I needed some ideas, my mother suggested perhaps my sisters and I could give up bickering with each other. I understand my mother so much more now. 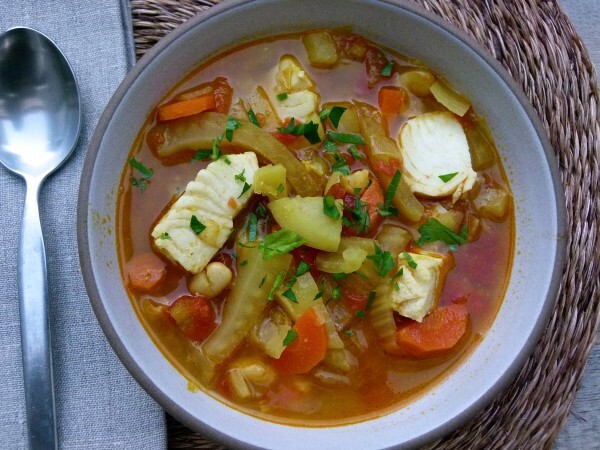 Whether you observe Lent or not, I think you should make this absolutely delicious fish stew. My family doesn’t love fish as much as I do, although they never complain when I make it. There are certainly recipes they like more than others, like fish tacos (and who can blame them?) or poached salmon (“because it doesn’t taste fishy.”) This fish stew was a hit when I made it because all the fish is mixed with other stuff, Mr. Picky explained. Whatever works! 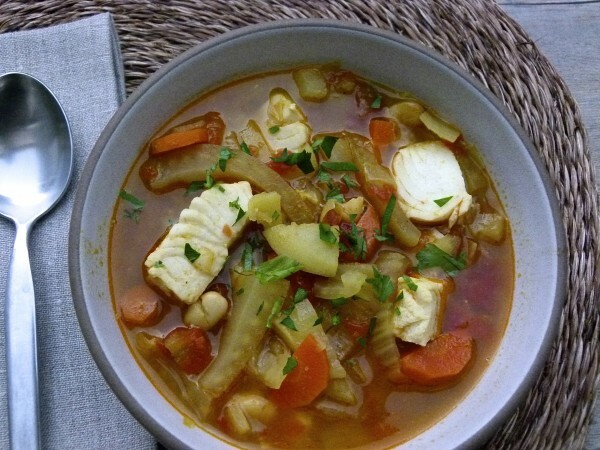 This stew is brothy like a soup, but full of all sorts of chunkiness like a stew and you can easily make a meal out of it with a piece of crusty bread. So I’ll call it a stew. When I put this together the first time, I was thinking more bouillabaisse, the classic French seafood soup, and less cioppino, the zesty Italian tomato fish stew. Either way I think this is the perfect light, but warming dinner. It also cooks in a very short amount of time, so you’ll have it on the table in less than half an hour. You can also adjust the amount of fish in the recipe without adjusting any other ingredient. If you want lots of fish because this is your main course, then add another 3/4 pound. If you’d like to use a mix of seafood, such as shrimp, scallops or mussels, those would all work well too. The only thing I would advise is NOT to skip the butter. If you have to go dairy-free, use Earth Balance. I tried this with all olive oil and surprisingly it wasn’t nearly as good. In fact, in my next life I’m going to double the butter. And if you live where the temperature has been freezing since Thanksgiving and you’ve more snow storms than the previous 10 years combined, I give you permission to use as much butter and wine as you want in this recipe. You’ve earned it! Heat butter and olive oil in a heavy large pot or Dutch oven over medium-high heat. 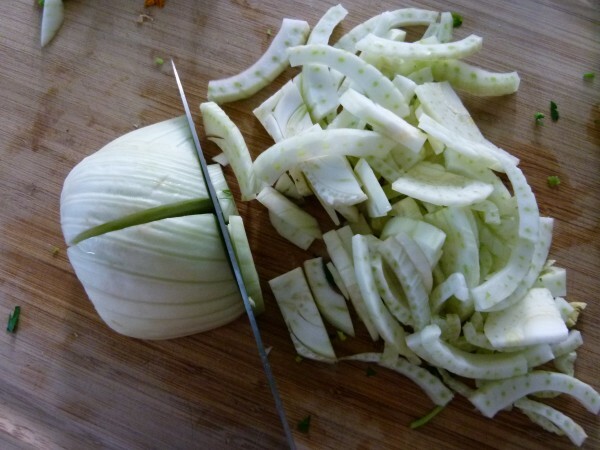 Add chopped onion, garlic, fennel and carrots and sauté for about 6 minutes, until tender. 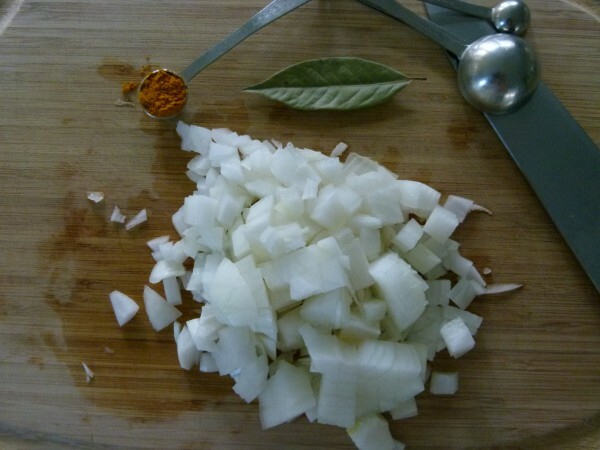 Add half the parsley, bay leaf, thyme, red pepper flakes, 1 teaspoon salt, pepper and turmeric. Gently cook for 2 minutes or until fragrant. Add tomatoes and stir to combine. Add potatoes, stock and white wine. Bring to a boil, lower to a simmer and cook, covered until potatoes are tender, about 10 minutes. Add fish and cook another 5 minutes uncovered or until fish is cooked through. (If you decide to use mussels or small clams, simmer with the pot covered until they open.) Add more salt to taste, if desired. Ladle into bowls and serve. 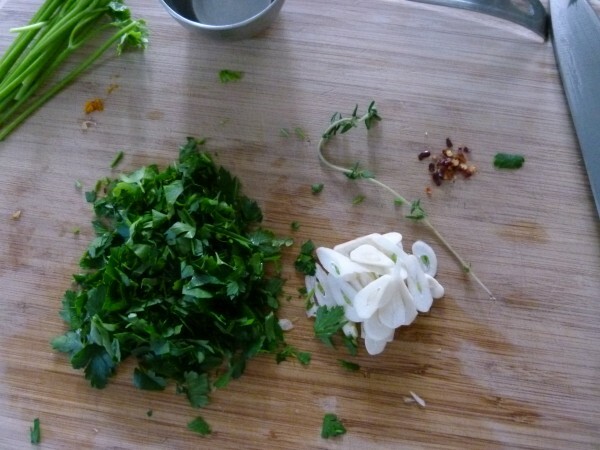 Garnish with reserved parsley. Nice with a piece of toasted baguette rubbed with garlic. I buy fish stock from the freezer case in the seafood department at my local Whole Foods. I have also tried a a good stock by Stock Options which I found in the freezer section at Whole Foods. Not sure, but I think it should freeze well. If your fish was previously frozen, the texture may suffer though. Made it tonight with sea bass that my husband caught on the Oregon Coast and some scallops. My husband said it was the best meal I’ve ever made. I have to agree. We love all the fresh, healthy ingredients. This is a keeper — our go to fish stew from here on out. Thank you!! Look at you! Nice job! But let’s talk about fresh-caught fish — the best!! Never tried it with chicken and I’m so happy to know it worked. Thanks, Susan! This stew was so easy to pull together and tasted delicious! First time I’ve made a fish stew and certainly won’t be the last. Thanks for a great recipe! This is the first tomato based fish soup/stew/chowder I can honestly say I really liked. The tomatoes are in the background and the fish is the star. 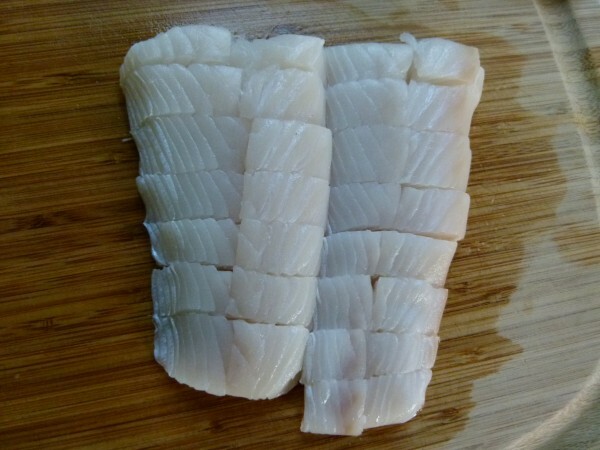 I used Hake a popular white fish here in Maine. I just found your website a few days ago and it is a goldmine I will visit often! Thank You! Thank you, Judy. Happy to have you here! Northeastern NJ. . .the temperature is still below freezing,with a wind chill factor! Your fish stew was certainly a perfect dinner. I really liked the soup texture and the wonderful combination of flavors, including the addition of shrimp, clams and bay scallops to the recipe. Your recommendation of the frozen fish stock from Whole Foods was great. Thanks for another terrific recipe!